Description: This application is a collection of interactive games intended to integrate technology and relationship development. 3) reinforces the concept of cause and effect. Back2Life is a company that produces cross-platform mobile apps that change and improve the way in which young children interact with technology. Back2Life directly addresses the challenge parents face when their children’s inevitable exposure to technology draws out unhealthy habits. More than ever, children’s use of technology occupies extensive periods of time on activities of minimal physical activity and maximum social isolation. Industry analyst research confirms a decline in sales for traditional toys, and a steady rise in adoption of electronics and video games. For children age 5 and under, Back2Life provides a collection of interactive games intended to integrate technology and relationship development. Each game: 1) requires the participation of two people (child and an adult); 2) provides a structured opportunity for interaction; and, 3) reinforces the concept of cause and effect. Ingenuity: Most apps for children age 5 years and under are “interactive.” This means that the child engages with the application alone, in isolation. Possible parent/adult involvement, with most apps, is limited to a joint attention interaction in which the child and parent are both attending to the game and not each other. By contrast, Back2Life is an application that requires two people to interact with each other in order to enjoy what the application can do (animation, audio, video), thereby providing a truly interactive social experience for children and adults. Children will receive a foundation for social-emotional development. Children avoid the isolated engagement when exposed to technology at a young age. Children practice using technology in a dynamic way to interact with people before the expected increase in technology use after the age of 5. Children are provided the opportunity for: 1) Social-emotional development; 2) Cognitive development; 3) Language and communication development; 4) Gross and fine motor development; and, 5) Visual perceptual development. Parents get a structured and foolproof way to engage with their children and facilitate development. Parents finally have an option, when exposing their child to technology, that will not encourage isolating play. Parents get unlimited opportunities to strengthen relation development with their child. Technology is increasingly infusing its way into education. Children with Special Needs, particularly Autism, have an evident attraction and an intuitive understanding of tablet technology. Many children with these disabilities are frequently characterized by impaired verbal and non-verbal communication, which means that although Back2Life is designed for typical children under the age of 5, it would be appropriate for Special Needs children of any age. Other common characteristics are impaired social interaction and isolated play. Back2Life directly addresses the need to improve relationship development through a mode that is extremely attracting and motivating. Families who are at a loss as to how they can connect with their children, through Back2Life, are provided with a new kind of guide that will help them interact with their children. 3) Language and communication development. 4) Gross and fine motor development. 1) Offers opportunities to explore both technology and personal relationships in an engaging and visually stimulating format. 2) Enjoyment of experiencing the integration of animation with video of themselves. 3) Enjoyment of the ability to control the interaction between themselves and their partner through the use of the application. - In app purchases for more games. - Long distance interaction. Children can play with adults from a distance through a video chatting system such as Skype. Functionality: Media Manipulation audio and video delivery. --> The app guides the adult to produce an action/movement for which the child must imitate. --> The adult then records video of the child producing that action/movement. --> Together the adult and child watch the video. --> An animated overlay can be applied to the video (e.g. stars falling down the screen, fireworks exploding, etc…) to reinforce the child’s interaction and demonstrate cause and effect. --> Once the child understands the concept of imitation, the adult can record video of an action generated by the child. --> The adult can then imitate the child’s actions and record a video of him/her self. --> Together the adult and child can watch the videos side by side comparing the two. --> Animated overlay of both videos can be applied as described in level 1 above. One half of the iPad screen displays a large button that plays music when pressed and stops when released from touch. The other half of the screen displays an animated character that dances when the music plays and stops dancing when the music stops. Level 1: The adult controls the button to play music and encourages the child to dance when the music plays and freeze when the music stops. The animated character is provided to guide and motivate the child to move. Level 2: Once the child understands the concept of dancing and stopping in coordination with the music, the adult and child switch roles whereby the child can control the button and play the music for which the adult must follow their direction. --> The adult types both the adult’s name and the child’s name to establish the identity of each player. --> The child is then prompted to pick a present to give to the adult. A selection of toys and gifts are displayed. --> Once the toy/gift is chosen the child can then select wrapping paper, a bow, and a tag whreby the program will “wrap” the gift. --> The child will give the present to the adult (iPad displaying wrapped gift). --> The adult will open the present with a special code (typing the adult’s name). --> The toy/gift is revealed and a simple arcade-type game can be played. --> The adult is instructed to act like a given animal. --> The child watches the adult and is then prompted to guess the animal from a selection of three pictures. --> The correct choice will display animation or video of that animal. --> The adult can then record a video of the child or adult acting like that animal. --> A double screen shot can be viewed of the two videos side by side. Once the child understands the concept of acting out without verbally revealing the name of the given animal, roles can be reversed whereby the child is the actor and the adult is the guesser. 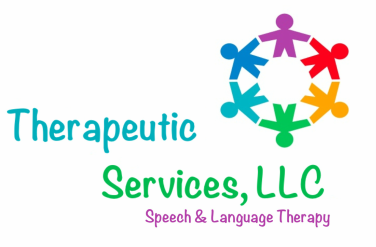 Mali DeSantis, M.A., CCC-SLP is the owner of Therapeutic Services LLC, a speech and language therapy private practice in the Northern New Jersey. Mali received her Bachelor’s Degree in journalism at Rutgers University. Transitioning from television journalism, Mali’s desire to enter into a helping field brought her to Kean University where she received a Master’s Degree in Speech Language Pathology. She is an experienced clinician who has worked in a variety of settings including private practice, schools, homes, and hospitals. Her clinical interests and specializations are in the treatment of children with Autism, Augmentative Alternative Communication, and the facilitation of Social Skills. She also runs an ongoing iPad/Technology Clinic, where families and educators learn how to use an iPad/Technology to its fullest potential. The clinic aims to optimally integrate technology into the life of a child with special needs. Mali is licensed by the State of New Jersey and is certified as a Speech Pathologist by the American Speech-Language-Hearing Association (ASHA). In order to stay up-to-date and be on the cutting edge of her profession, she attends various continuing education classes including PROMPT, Apraxia Treatment Techniques, Social Thinking, Speech-EZ, Oral Placement Therapy (OPT), Sensory Integration, NeuroNet Learning, DIR/Floortime, Integrating ABA (Applied Behavior Analysis), and Assistive Technology.